Weekly time spent singing with a voice teacher and identifying what is going on with your voice right now is invaluable. Outside ears and eyes help identify where you are that day or week and professional guidance and diligent work can take you to the next level. Although we establish good vocal technique using proper breathing, support, and vowel placement, sometimes it takes time to get there. 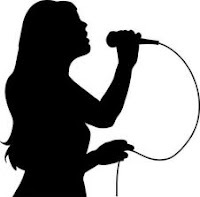 Through dedicated practice and patience you can develop a beautiful singing voice. It is not an overnight (or couple of week) process. Persistence is the key as your body is your instrument. Muscle memory develops over time and helps you sing with consistency throughout your range with a stronger, more balanced tone. Just like training to run a 5K, your body remembers what it should do and needs to do to create a stronger sound. It pulls on its resources, muscle memory! Our bodies and voices change on a weekly basis (sometimes daily) because our lives are continually changing. Your technique may be working wonderfully and a few days later there may be some troubles in a particular spot. You may not notice it on a consistent basis but sporadically. Has your muscle memory kicked in enough to know what to do when you are not feeling 100%? Are you an adolescent going through puberty therefore in constant change? Weekly voice lessons can help you identify what is going on quickly and provide you with solutions. How do you trouble shoot on your own? Have you been eating differently? Did you stop drinking enough water? Stayed up late a lot? Has your posture changed? Not worked out recently? Are you stressed? Did you go to a concert and sing too loudly for too long? Do you have a cold and need techniques to sing above it? Find a voice teacher you trust to help you. For more information regarding voice lessons visit http://www.susanandersbrizick.com/ or sign up for my free newsletter.